While I have two cats of my own, that’s only the beginning. I also follow live kitten cams online and chat regularly with the many viewers. My main reason for visiting Facebook is to follow the lives of foster kittens after they have been adopted. But then again, I consider anything to be of value when I can see the hand of God at work. St. Ignatius taught that God can be perceived in the world around us and inside of us; God is active in our everyday lives. What that says to me is that sacred and teachable moments can be found in unexpected places, even in live kitten cams. The first live cam I followed was known as “Seven Kittens.” In that litter, a little runt with no hair who resembled Yoda captured our hearts. “Runty” turned into the magnificent Loki. Recently we learned that Loki, at only three, has developed a heart condition that will likely shorten his life. Along with an outpouring of sympathy, his Facebook community assumed the entire cost of his emergency visit to the vet within days of the event, all through online donations. 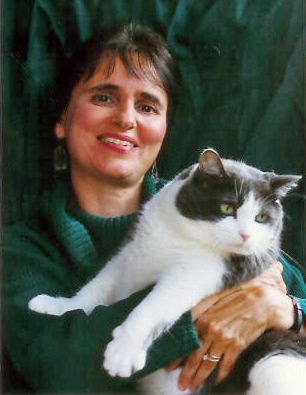 Loki’s owner, Nat, has experienced first-hand the caring of a community. Then there’s the Critter Room and Foster Dad John. 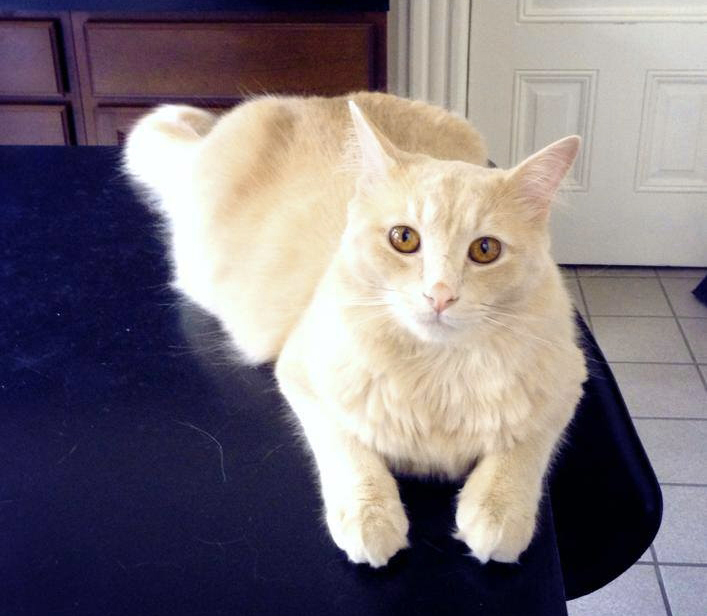 John has fostered over forty litters with a nearly one hundred percent success rate of adoption. One kitten, however, did not make it. His name was Peter and he died four days after he was born. I, along with a thousand other viewers, witnessed the event, and John’s reaction. Usually cool and collected, John was moved to tears as he held the tiny life in his hand and watched it ebb away. Reaction from the community was swift. 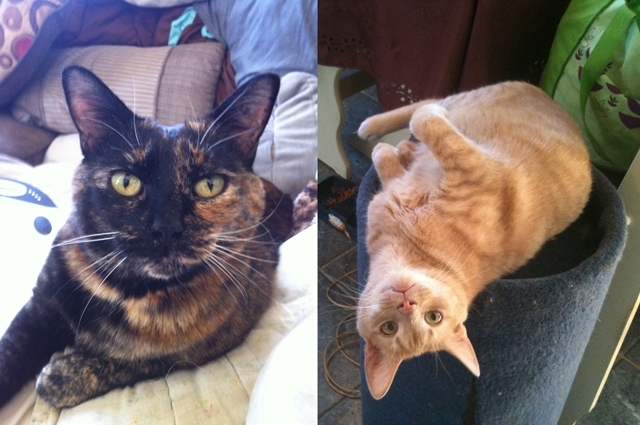 Expressions of sympathy manifested themselves in donations made in Peter’s name to the no-kill shelter that sponsors John’s fostering: Purrfect Pals. The caring however goes way beyond cats and kittens. Many viewers, burdened with a debilitating illness, unemployment, stress or loneliness watch the cams to find some relief. They discover the gentle humor and empathy of the community and friendships develop. Gathered around the common theme of kittens, people come together and comfort each other, pray for each other and offer practical help. 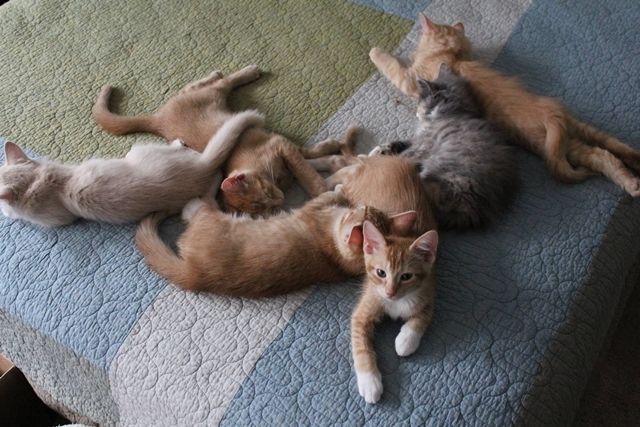 Many viewers have met each other in person, traveling from around the country to gather for the annual Kitten Cam Con in Seattle, WA, not far from the Purrfect Pals shelter. To me the kitten cam community is a microcosm of a perfect world. Perfection does not mean that things can’t go wrong; nature will take her course. But when things do go wrong, the community finds meaning through their love of each other, demonstrated through countless acts of thoughtfulness and generosity. The kitten cam community demonstrates that if we as a people can unite in love and caring for the least of these, our bigger world will be a better place. That caring comes one at a time: one kitten, one mama cat, one person, one family, one community. I am reminded yet again that we are surrounded with tactile reminders of love and grace. When we choose to belong to something bigger than ourselves that is life-giving, great things will happen. The constant emphasis on the ugliness of our world can skew our vision, robbing us of hope that goodness still exists. Yet it’s all around us if we look for it: pockets of quiet and gentle people who love, laugh, cry and celebrate together. Pockets in our families, churches, cities and towns. And in live kitten cams. Reminders that the love of God is alive and well and that we are called to share his love with everyone around us. 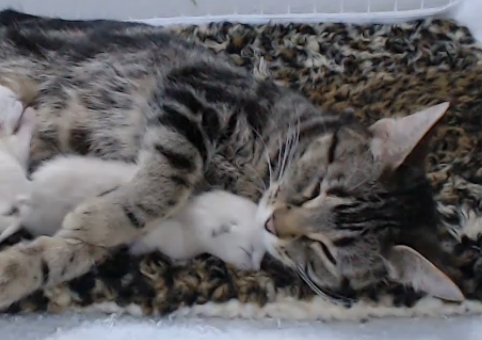 This is why, for me, live kitten cams go far beyond obsessing over kittens. It’s a concrete reminder that grace exists, moving us to life-giving and wonderful things. That’s what I learned from crazy cat people; I am proud to be one! The Critter Room Memory Book – order your copy for $15.95 and $7.15 will go to support Purrfect Pals. Previous Celebrate with Song: “Teach Me to Love”—the first person to post a comment wins a free copy of this song!